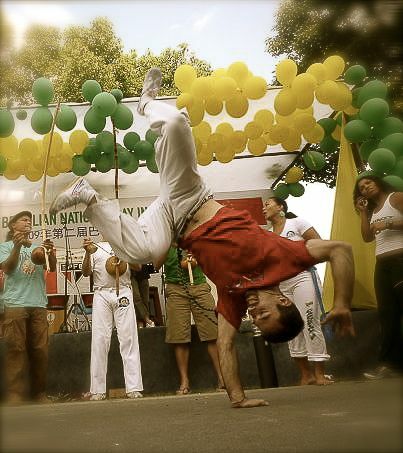 Contra Mestre Carcará will be in Shanghai giving classes from the 11th until the 20th of June (classes with him from the 12th until the 19th), it’s going to be a massive 8 days capoeira week! Thank you all for the great participation to this workshop! Your energy has been amazing and CM Espeto, Cocada and Cobra had a lot of fun. We are lucky to have such a friend like CM Espeto. Whatever the conditions – whether humidity, sweat, hard floors, changing of training rooms, it is a privilege to have Espeto work his magic when delivering the workshop. Something for everyone – techniques, music and most importantly fun! Welcome you back anytime and with more of your Osaka camaras! Obrigado! 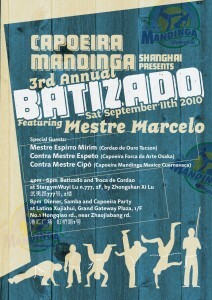 It’s always a pleasure to have espeto in shanghai, and it was great to have cocada and cobra here too! I hope they all come back soon. 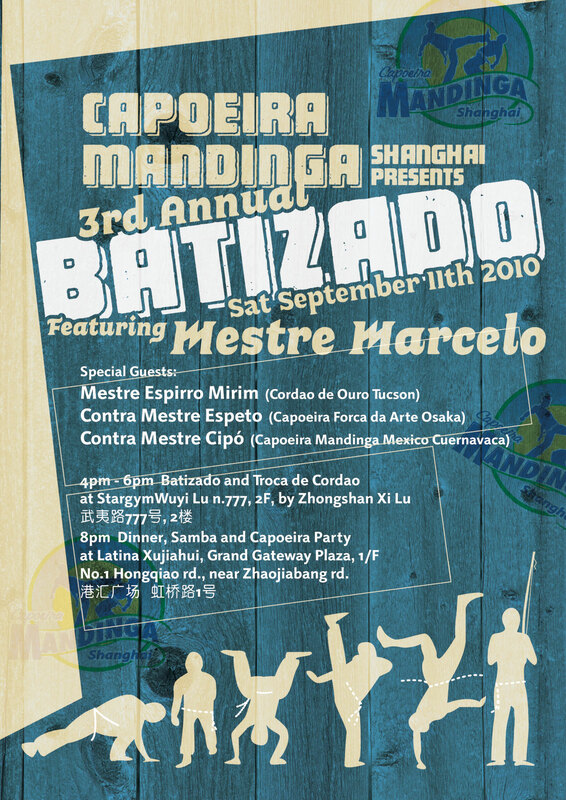 Again muitos obrigados for this workshop, it always a pleasure to have such great capoeiristas with us ! It was an absolute pleasure to attend this workshop with CM Espeto and his awesome students Cocada and Cobra. I had a lot of fun, but most importantly I learned a lot from Espeto, both in terms of movements and the way to approach learning difficult or new ones. 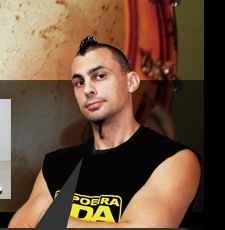 I am officially a fan of Forca de Arte and will make it a point to visit them some time next year and train with them some more. Thank you so much CM Espeto for coming over and imparting your knowledge, but also for the amazing attitude, patience and energy you brought! Thank you Cocada and Cobra for coming over and playing your beautiful games with us! Diego, thanks a lot for bringing CM Espeto, organizing the event and in general for making all these wonderful experiences happen for us. You’re a genuine role model to us all.